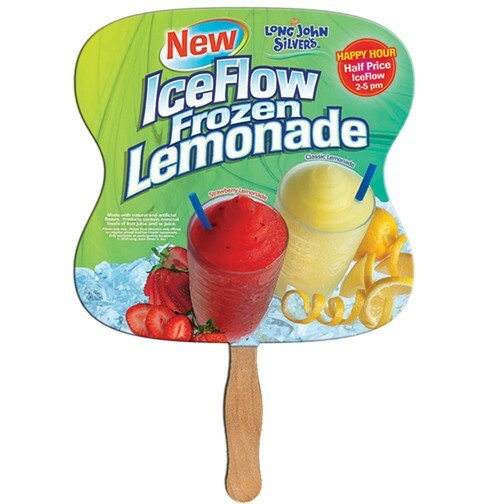 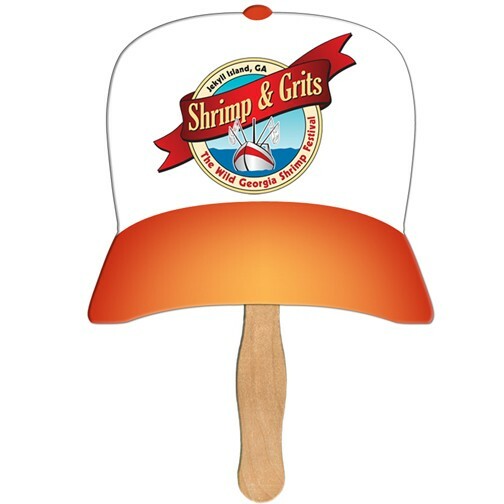 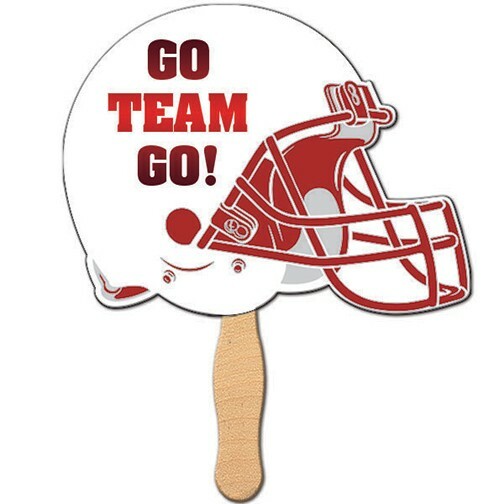 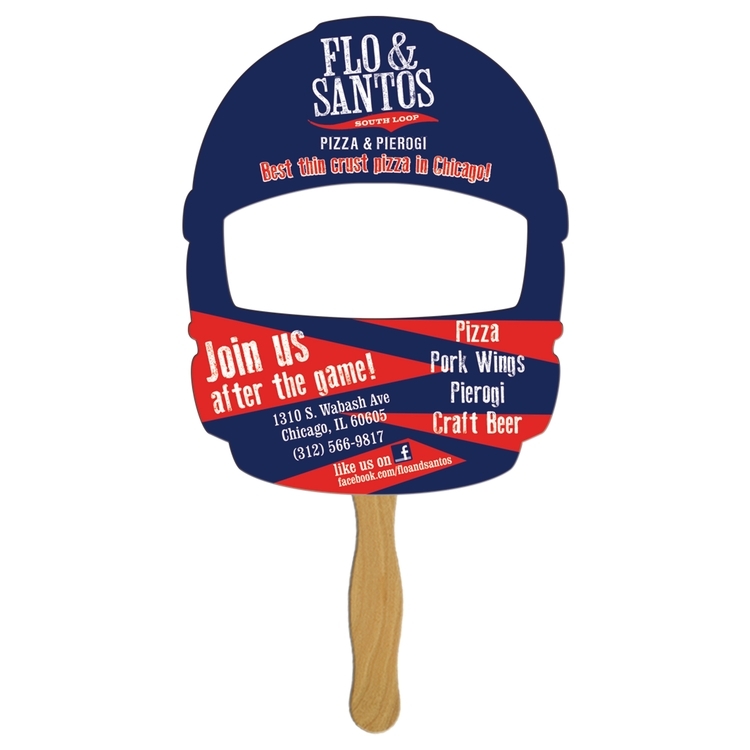 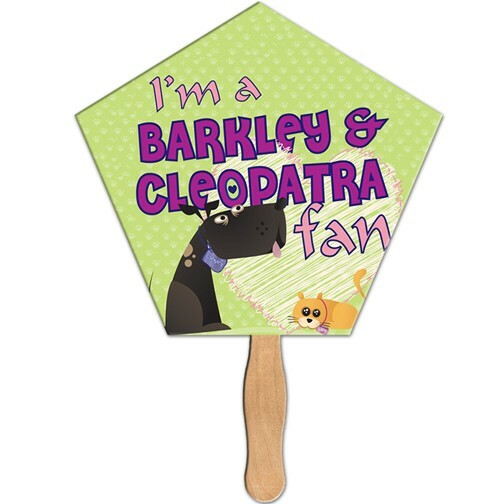 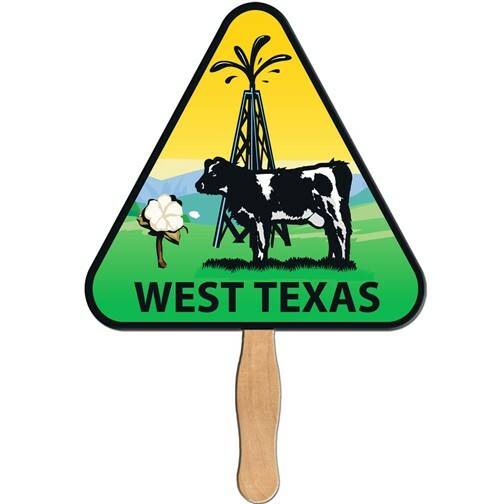 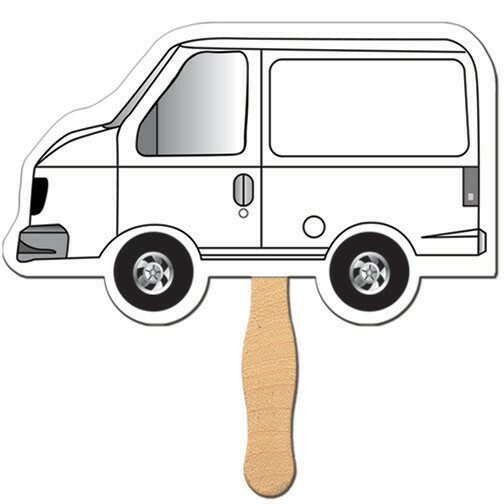 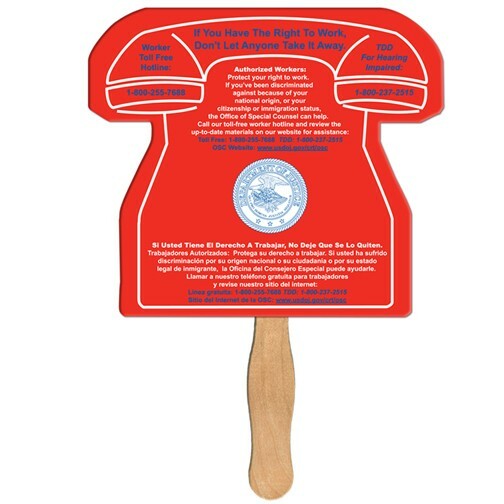 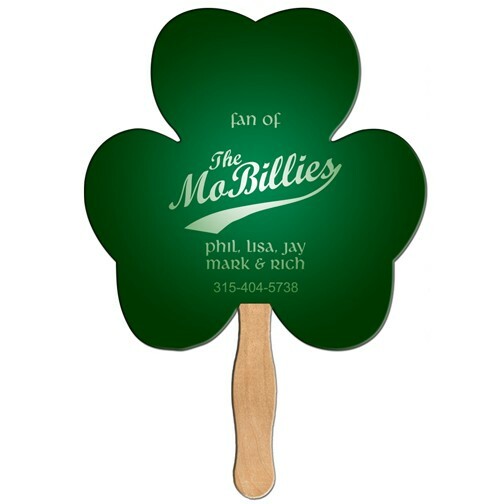 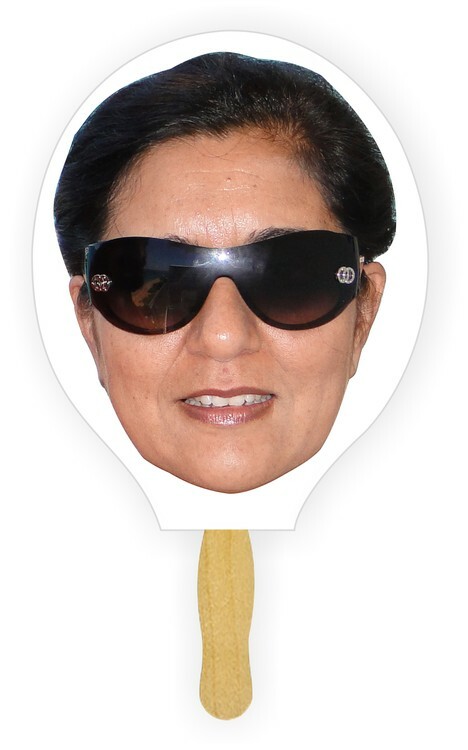 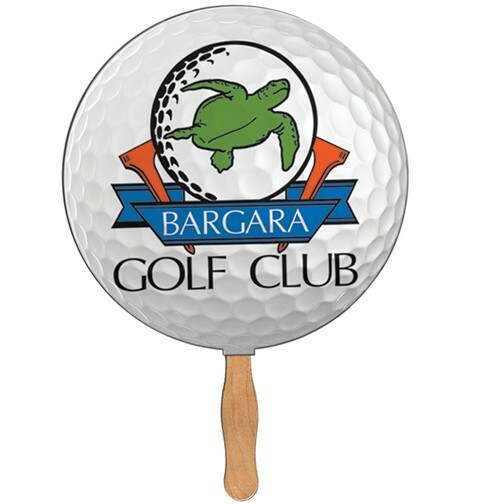 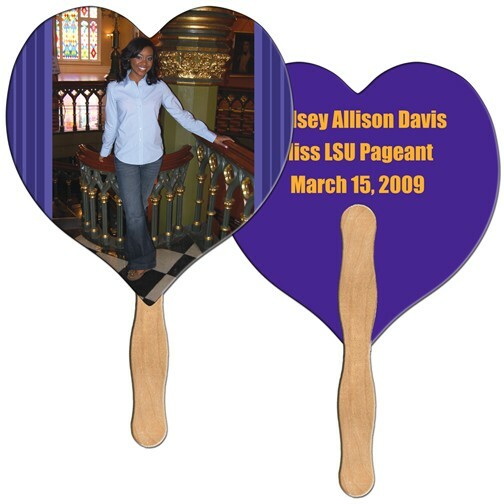 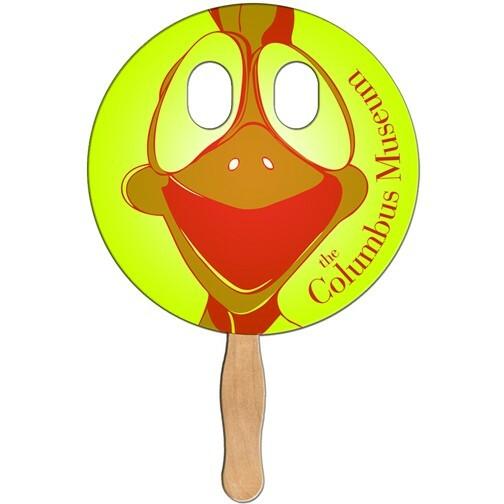 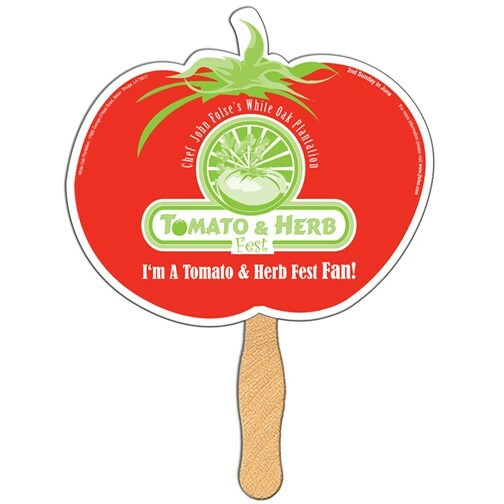 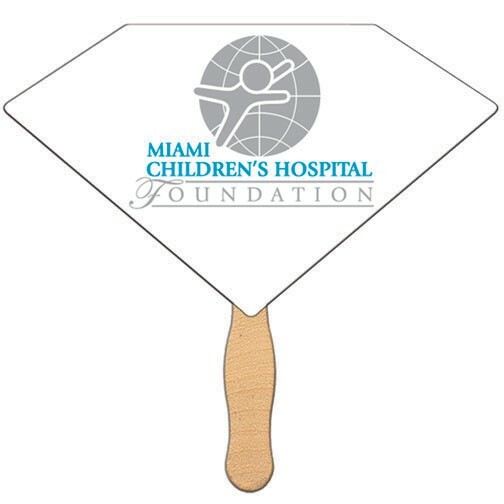 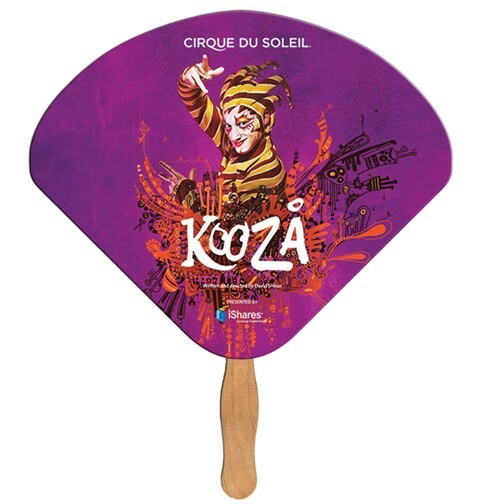 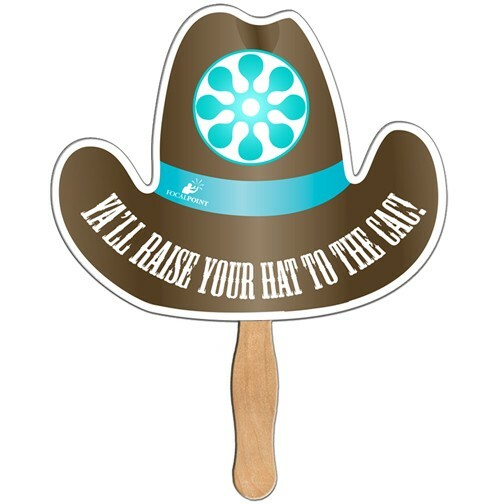 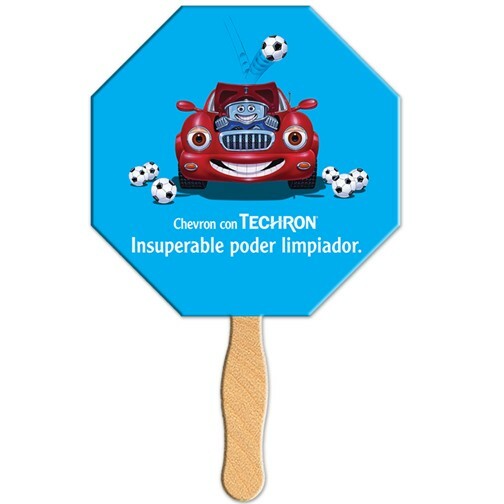 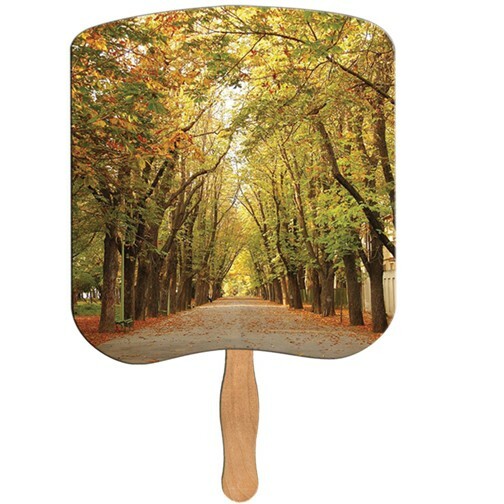 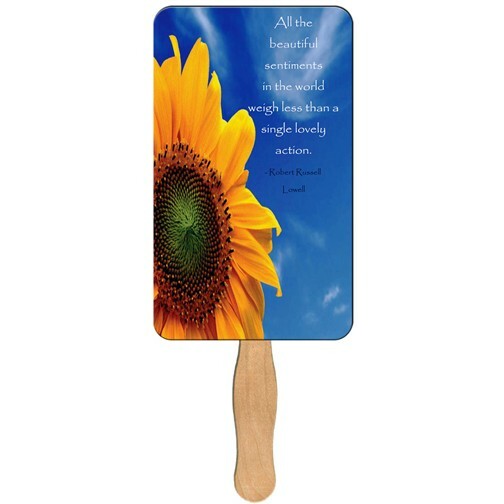 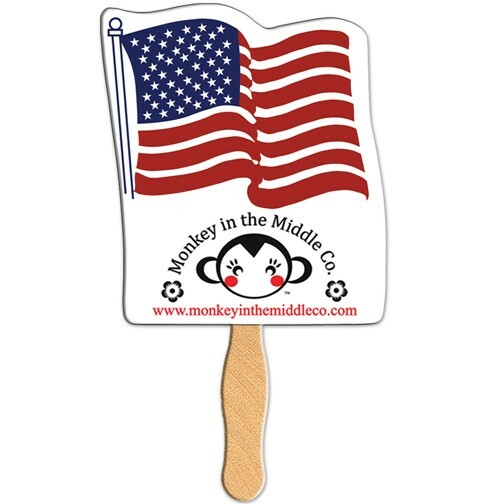 Printed on laminated 22 point board stock with either a wood or plastic handle glued to the back of the fan. 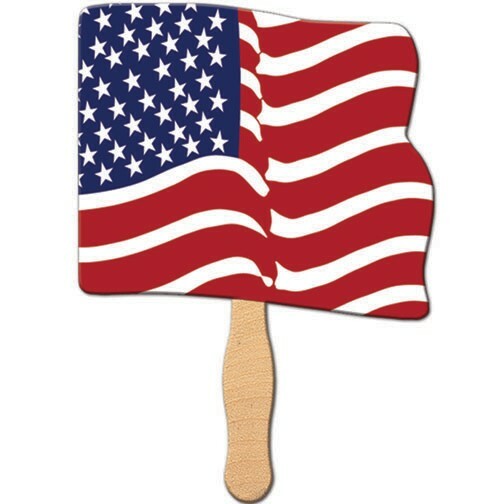 Please refer to Sandwich Fans if you do not want the stick showing on the back. 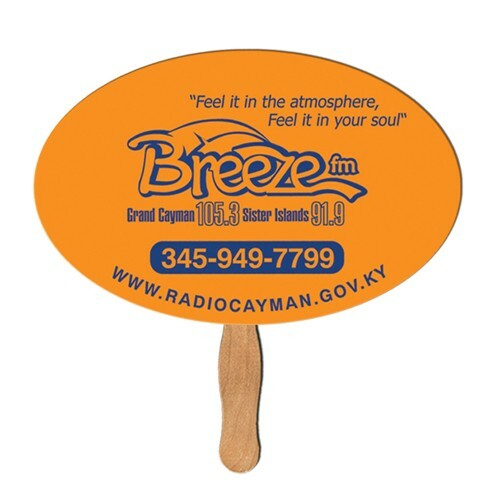 STANDARD PRINT - FULL COLOR PRINT ON ONE SIDE - film laminated on both sides for a high gloss finish. 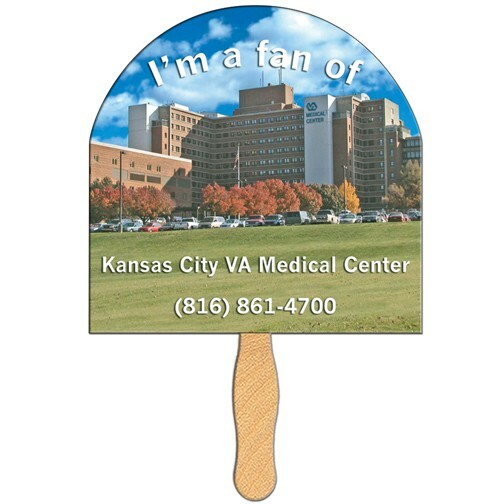 Minimum order quantity is 100 fans. 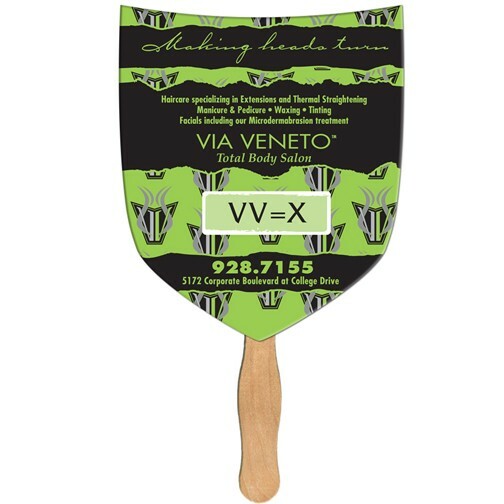 OFFSET /SPOT COLOR PRINTED - Economical choice when printing large quantities or for smaller quantities with a 1 or 2 color spot print. 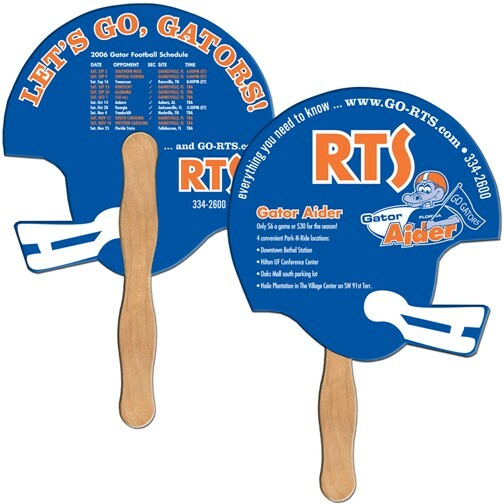 Liquid lamination on one side and matte finish on the other. 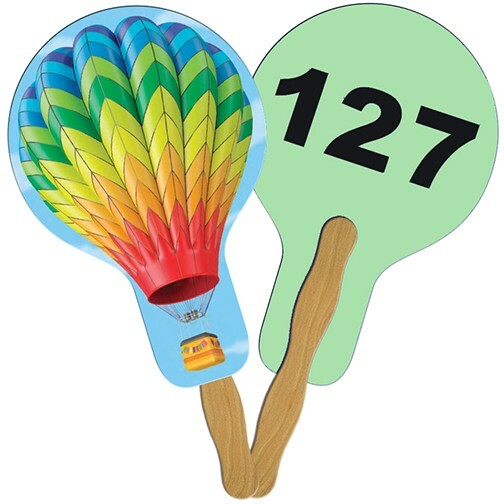 Minimum order quantity is 250 fans. 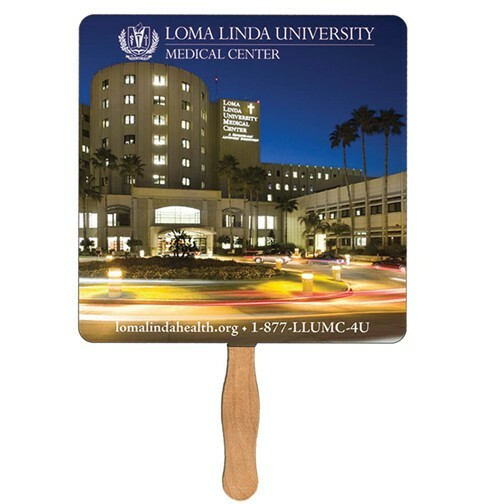 2 DAY RUSH PRODUCTION - Fans are digitally printed in full color and film laminated on both sides for a high gloss finish. 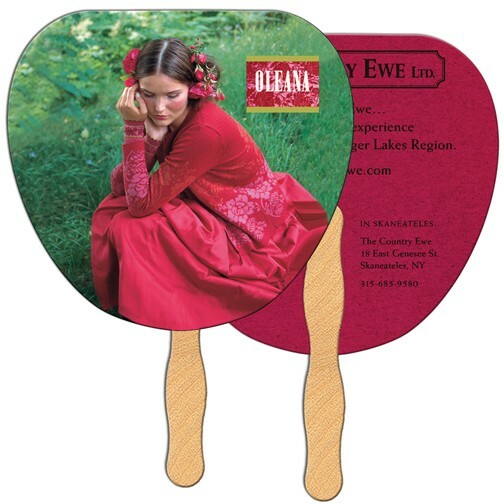 Minimum order quantity is 100 fans.